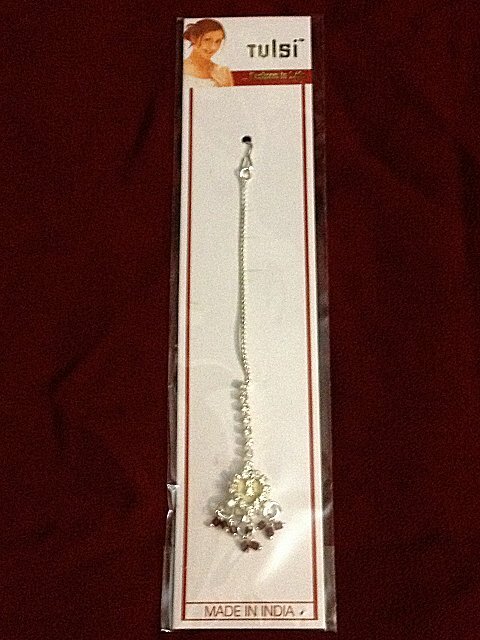 Mang tika in silver color with clear and red stones. There is a hook which can be attached into the hair. Front of the maang is covered with stones. Can be worn by adults and kids.